Anyone else getting the hump with this iffy weather? I've filled my boots with summer purchases so I'm now looking at options that will carry me through to, dare I say it......autumn?! 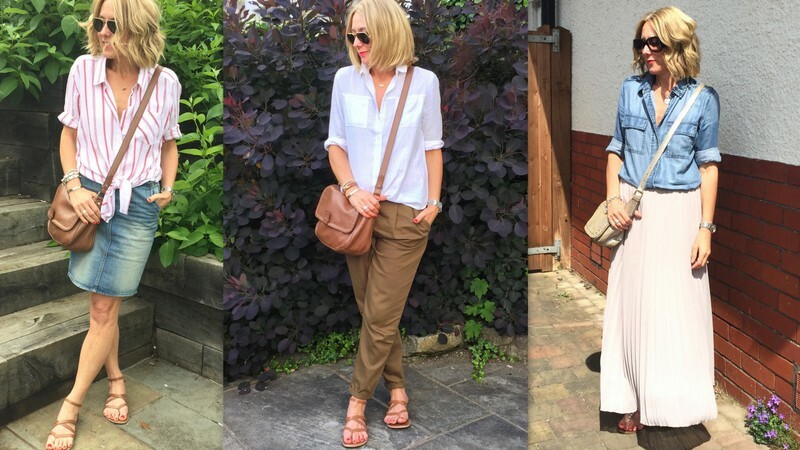 After a quick peruse on my Instagram feed to see what I was wearing in September/October 2015, it turns out a lot my outfits were a trusty shirt and skirt combo. I think the temperatures were better now then than they are now! That's why I didn't hesitate to hot foot it off to Primark last week to pick up this fab little number after being tipped off by the lovely @amothersedit and @teeclutter Thank you ladies! As you can see the humble shirt has been my go-to item over the past few days and here is how I've styled them! Now my preference with a shirt is having a full length sleeve as I do like to roll them up to the elbow. I know we all love a good stripe, I'm also partial to a check, a spot and of course you can't beat a crisp white shirt. I also find a light blue very useful, more so than a denim one for me. As I have all those bases covered shirt-wise I've been having a nose around to see what else I could add to my collection, which will help to ease me through to a spell of better weather. I've been drawn to some different prints, here are a few of my favourites. 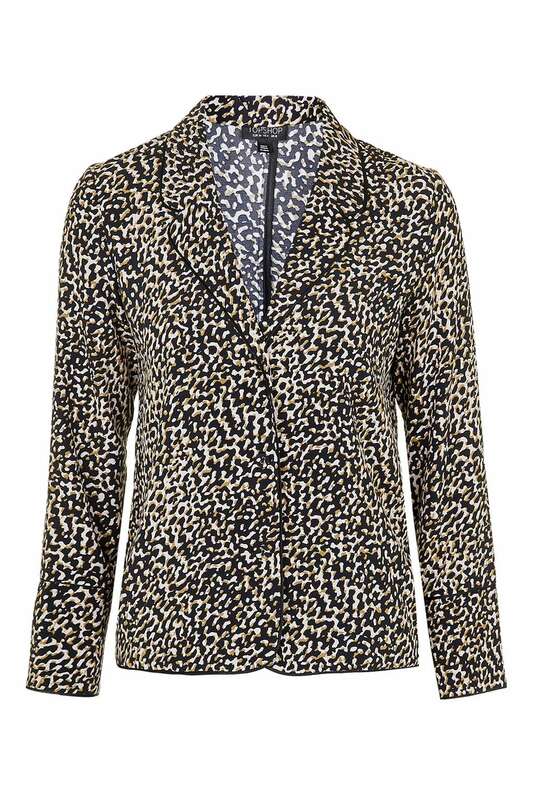 Gotta a love a bit of leopard print.....I adore this pyjama style shirt/jacket. What's even more fab is that it's dual-purpose! I think would be fab over a cami with jeans for a laid-back evening out but great buttoned up with boyfriend jeans and loafers for a more casual look. 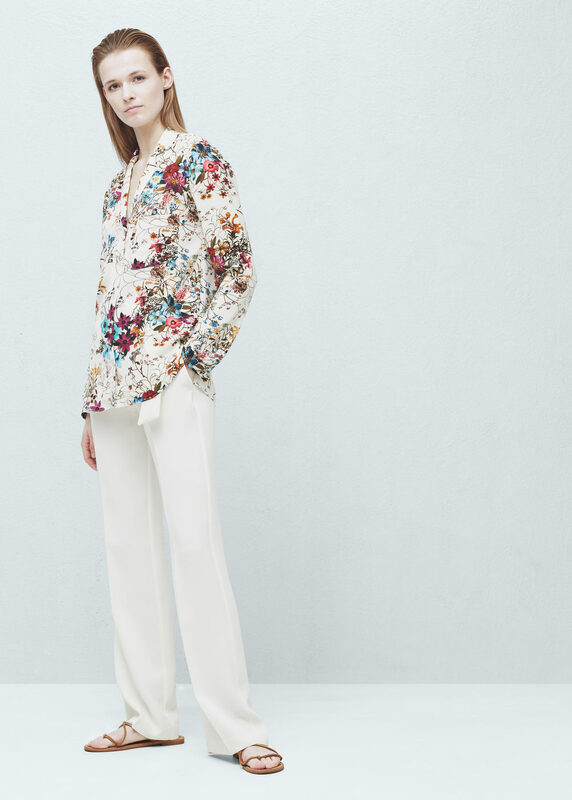 Sticking with the pyjama style jacket....I'm also rather taken by this floral print one from Mango. 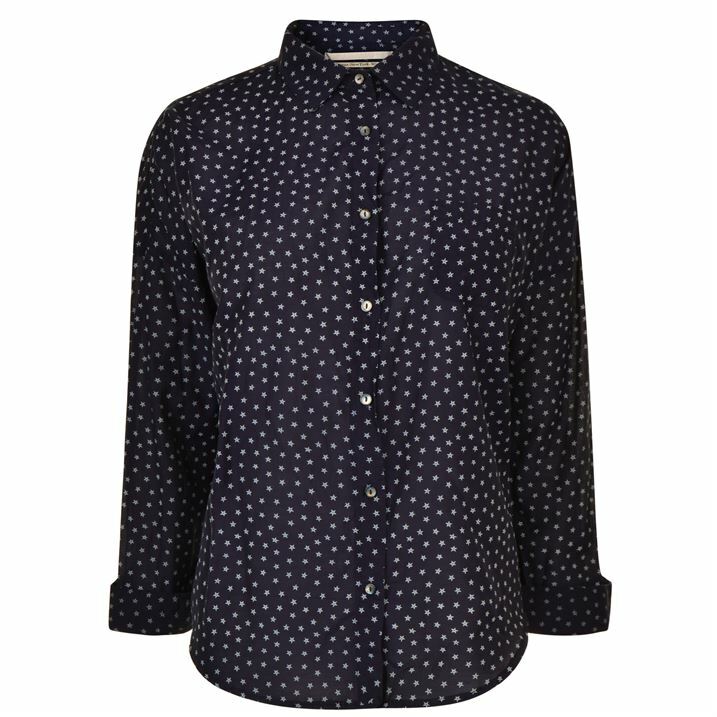 I also have a gap for seeing some stars....this one would also provide my wardrobe with a much needed hit of navy! Good old DP have this gorgeous fruity print option. 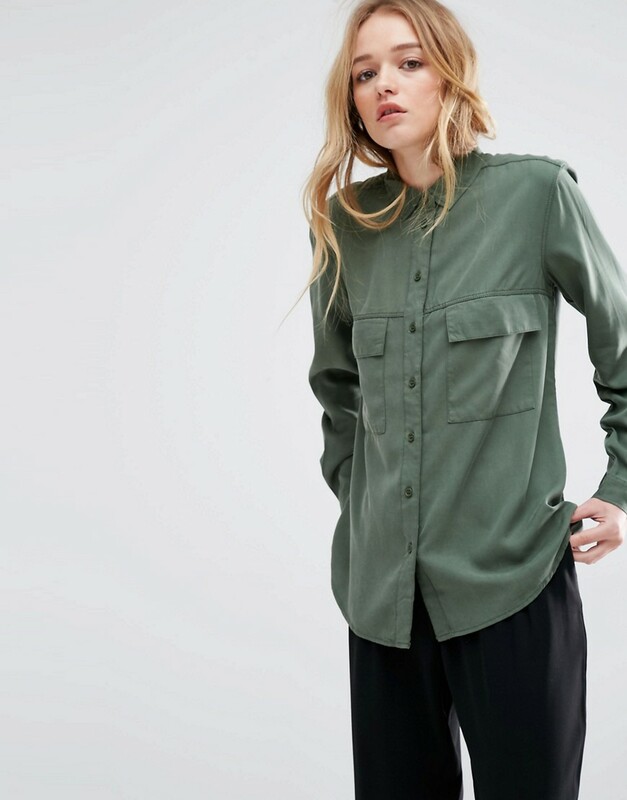 One plainer style that my wardrobe is also crying out for is a khaki utility shirt which I think I would find extremely useful! 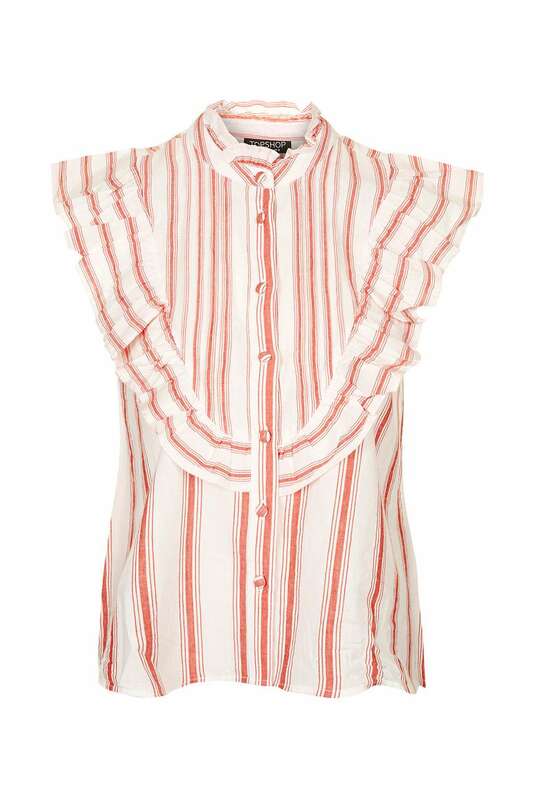 Veering off course now and into more blouse kind of territory.....I am so drawn to these ruffles! This one is short sleeve I know, but it's gorgeous isn't it! I can see this with denim cut-offs....weather permitting! 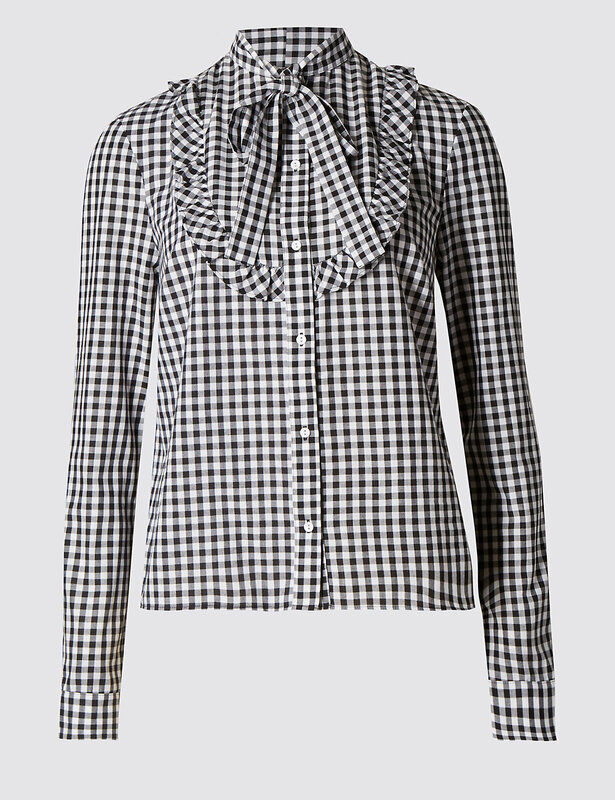 Last but not least....I adore this M&S gingham shirt, which would be fab with my a-line pleather skirt and white loafers...with the sleeves rolled up of course! 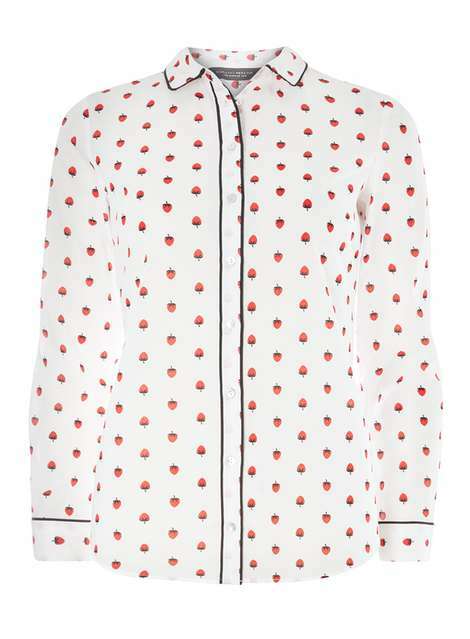 M&S Limited Collection gingham check shirt Reduced to £18! Are you are a fan of the shirt? What's your go-to item for this inbetweeny weather? Stradivarius bomber jacket, sold out online similar here in the sale! Just a quickie before I go! I've been asked about my nail colour a few times so here goes! For the past couple of summers I've used Barry M Gelly in Passionfruit which is a lovely shade of coral/red. However last time I popped in to pick up a new one they didn't have any in stock. After a quick scout around comparing to my nails to a vast array of different bottles I found an excellent replacement in the way of Ravishing by Revlon Not only is the colour an amazing likeness, I have to say that I am mighty impressed with it as it's lasted a week without a chip insight.....at £6.49 it's an absolute bargain. I recommend using Sally Hansen's Insta Dry which I find makes a superb topcoat! I shall be back shortly......I have found a gaping hole in the wardrobe that needs to be filled!